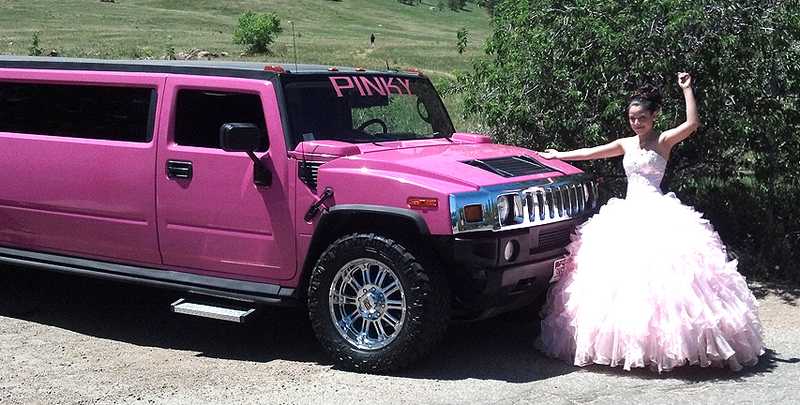 Denver’s Finest Limos for Sweet 16’s & Quinceañeras, only From Sunset Luxury Limousines! 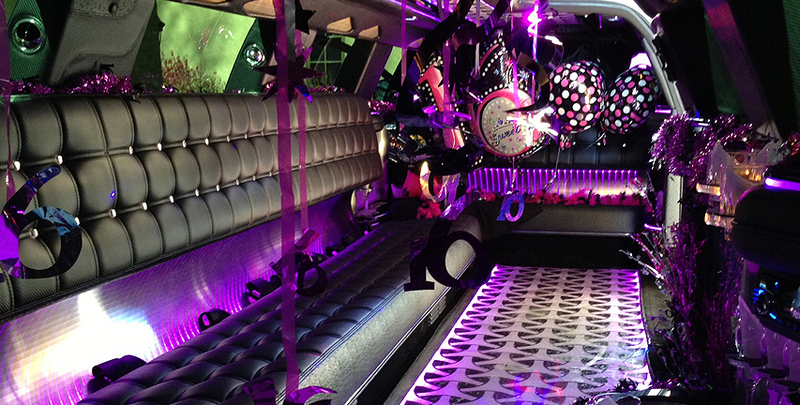 Let Sunset make your teen’s Sweet 16 even sweeter with one of our sweet 16 limos! 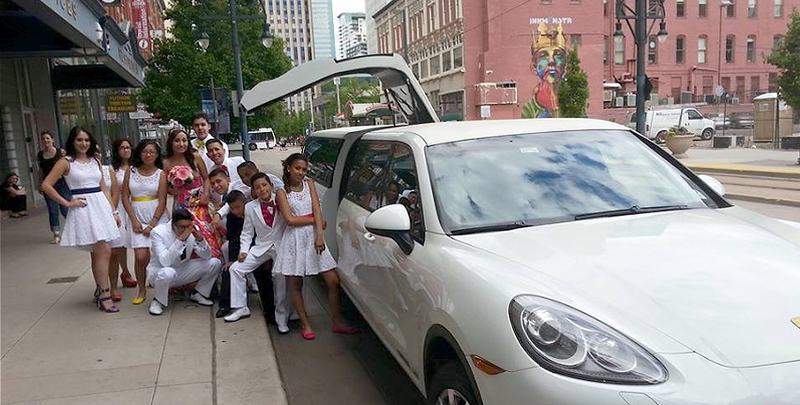 We have a large limousine fleet that is sure to appeal to the birthday girl. 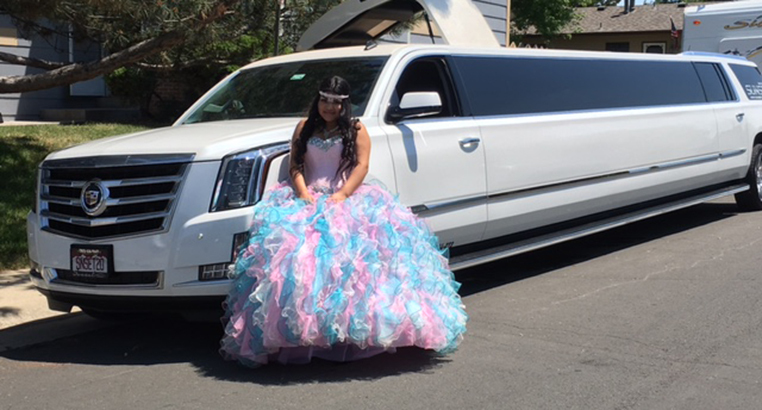 Our hot pink fleet offerings, the pink Cadillac Escalade and our pink party bus, are sure to turn heads and give that special birthday kid a one-of-a-kind feeling. The birthday girl will also receive a complimentary package of soda, water, energy drinks, balloons and red carpet roll out. Sweet 16 decorations may be added for an additional $75. 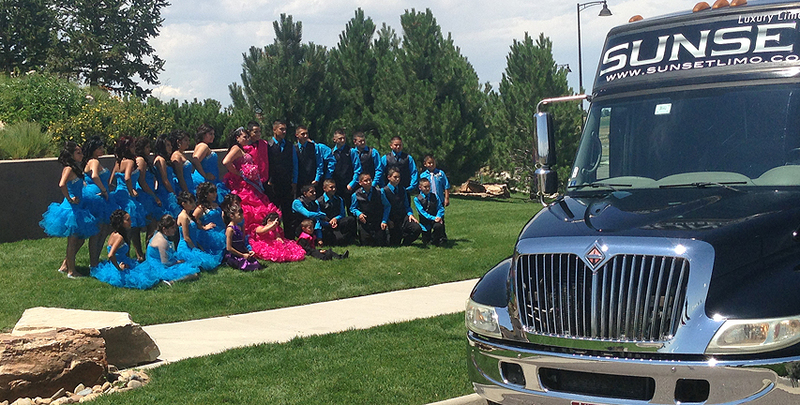 Let us make your girl’s Quinceanera in Denver extra special! 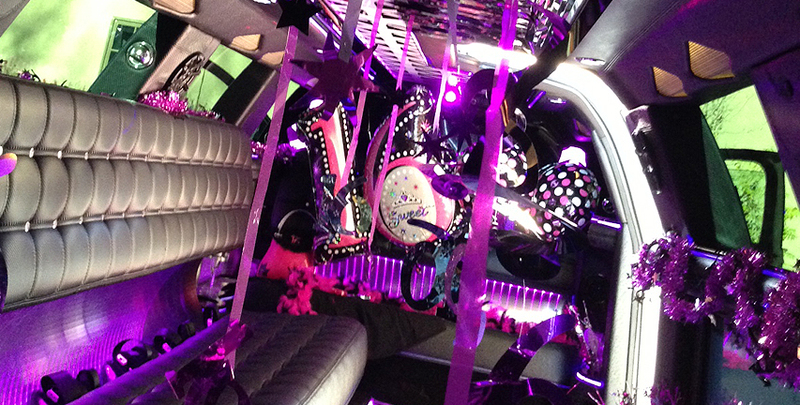 We have a large limousine fleet that is sure to appeal to your girl as she passes into womanhood. 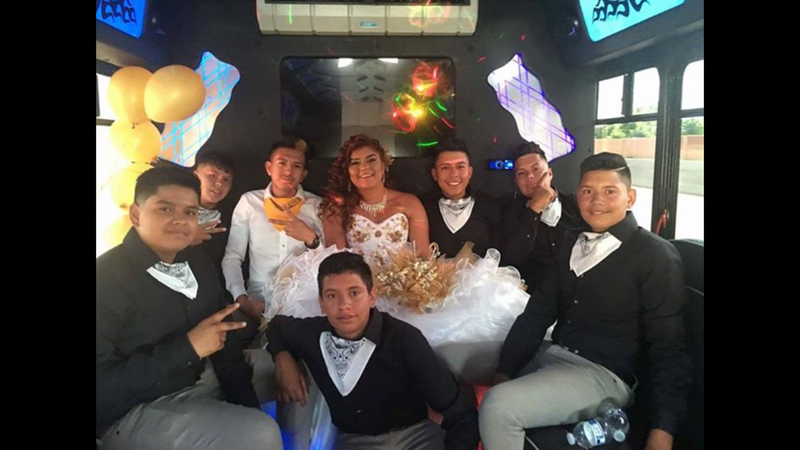 Our hot pink fleet offerings, the pink Cadillac Escalade and our pink party bus, are the most popular and ideal for any girl celebrating her Quinceanera. 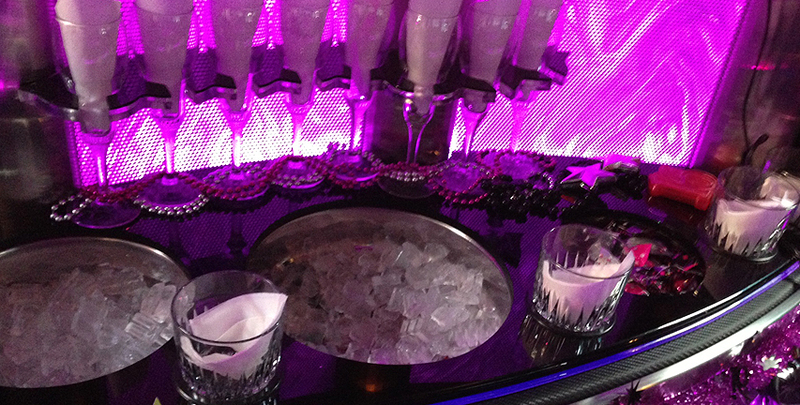 The birthday girl receives a limo filled with balloons in all her favorite colors, red or pink carpet and a variety of sodas and water. Be sure to get your cameras out when we roll out the red/pink carpet for the girl to walk down!